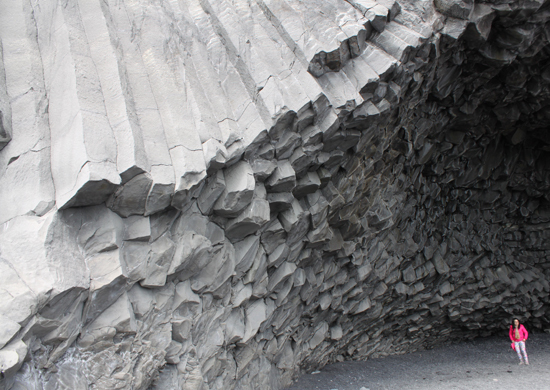 Our STEM (Science, Technology, Engineering, and Mathematics) Education Expedition marveled at these spectacular hexagonal basalt columns along the black sand beach in Reynisfjara, Iceland. From beehives to columnar basalt formed by slow cooling of lava, mathematics finds its way into science through hexagons! I kept the person in the photo for perspective as the scale of these geometric igneous columns was so magnificent. The Fridheimar Tomato Greenhouse, a stop on our trip through Iceland's Golden Triangle, grows delicious tomatoes year round using geothermal energy. 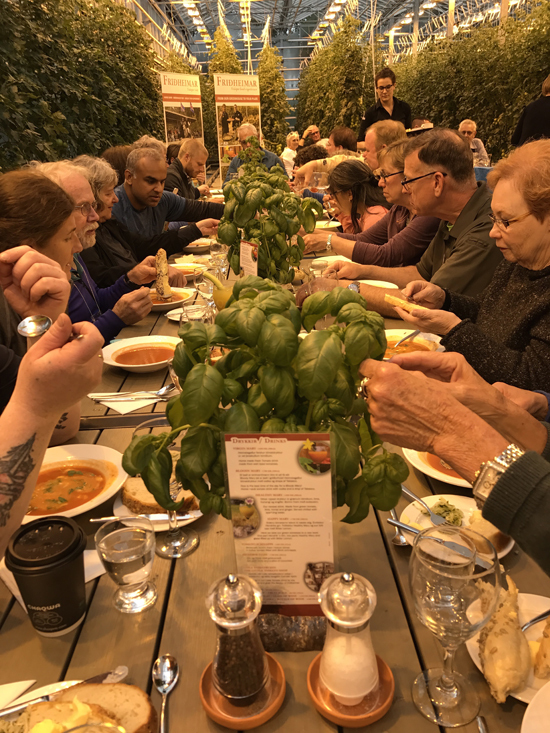 After a presentation on their unique approach to horticulture, we dined on fresh tomato soup. Lunch among tomato plants in a warm greenhouse made for a unique and memorable dining experience!